Retail sales at the luxury unit rose at the fastest pace in four quarters boosted by demand for Jaguar models, including the F-Type convertible that began shipping in May. The automaker has started sales of the latest Range Rover Sport in some markets including the U.K. and China and plans to introduce the model in more markets. "With the parent making losses, Jaguar Land Rover is driving more than 100 percent of the profit," said Mahantesh Sabarad, an analyst at Fortune Financial Services India Ltd. in Mumbai. "We are positive on JLR but we expect the growth rate to moderate to about 12 percent to 14 percent in the next two years." Jaguar Land Rover, which Tata Motors bought from Ford Motor Co. in 2008, accounted for 88 percent of Tata Motors' operating profit in the year ended March. Tata Motors, part of the $100 billion Tata conglomerate, has become dependent on its U.K. unit to prop up profits. Tata's passenger and commercial vehicle sales have suffered in India from an environment of high interest rates and fuel prices in an economy growing at its slowest pace in a decade. Sales of the Tata Nano, dubbed the world's cheapest car, are well below expectations and there has not been an all-new Tata-branded passenger vehicle since 2010. Jaguar Land Rover has been riding on resilient demand for its Jaguar XF and XJ sedans and Range Rover SUVs, especially in China. 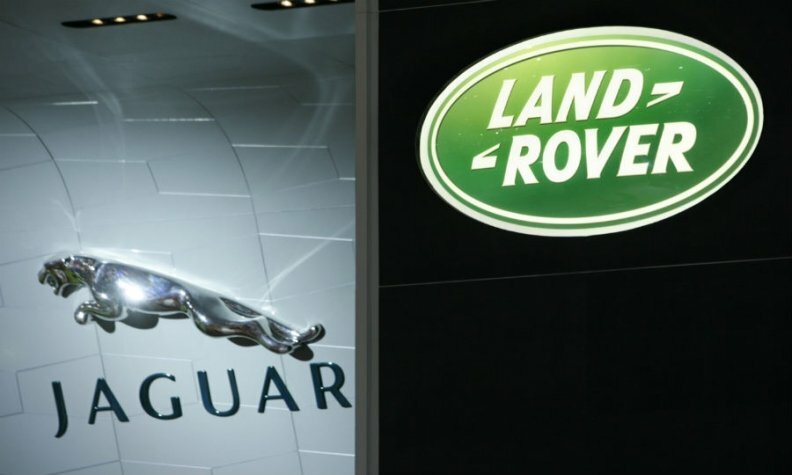 Retail sales of Jaguar Land Rover climbed 21 percent to 102,644 units in the quarter. Jaguar deliveries increased 57 percent to 20,024 units, while Land Rover sales rose 15 percent to 82,620 vehicles. Tata Motors posted a loss at the parent level of 8.04 billion rupees in the quarter, compared with a profit of 8.67 billion rupees in the year earlier period. Sales of the company's local business fell 29 percent to 87.6 billion rupees, the sixth straight quarter of declines. "While JLR continues to outperform, Tata's Indian business remains a headache," Max Warburton, an analyst at Sanford C. Bernstein, wrote in a Nov. 5 note to clients. "Saddled with uncompetitive product, poor brand, and suffering from increased foreign competition in all segments, Tata's standalone business is under severe pressure." Jaguar Land Rover is building its first manufacturing plant outside the UK in China, which analysts widely expect to surpass the United States as the biggest premium car market by the end of the decade. The unit expects to sell 100,000 cars in China this year compared with 77,000 cars last year. Jaguar Land Rover pitches its vehicles to a slightly lower, broader segment of the luxury market, helping it escape the brunt of a Chinese government crackdown on conspicuous spending that is affecting sales of rival marques such as Bentley and Lamborghini. Jaguar Land Rover CEO Ralf Speth said China is the biggest market for Jaguar Land Rover and the country will widen the lead, Speth said. "We have about 20 percent-22 percent of our volumes from China so we are not over-pronouncing Chinese demand," Speth said at a press conference today. "If you look at JLR against the bigger premium players, we're very small so there's enough room to grow further." The unit is in talks with the government in Brazil to set up a local assembly unit and expects a decision to be made by the end of the March, Speth said.